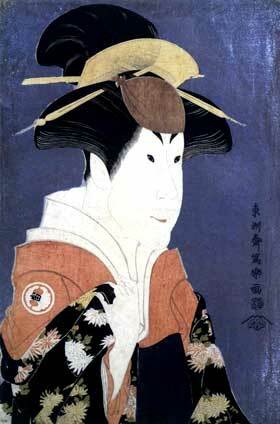 1772: debut in Edo as an iroko at the Nakamuraza; his first stage name is Yamashita Matsunojô. 1784: he becomes a disciple of Segawa Kikunojô III. 11th lunar month of 1784: Yamashita Matsunojô takes the name of Segawa Tomisaburô II at the Kiriza, performing with his master in the kaomise drama "Jûni Hitoe Komachi Zakura". 9th lunar month of 1792: Tomisaburô plays at the Ichimuraza the role of Hinadori in the drama "Imoseyama Onna Teikin"; the role of Koganosuke is played by Ichikawa Danjûrô VI. 11th lunar month of 1794: Tomisaburô performs at the Miyakoza; his yearly salary drops from 430 ryô to 350 ryô (this is a general salary cut for all Edo actors). 1st lunar month of 1804: Tomisaburô's rank in the Edo hyôbanki, wakaonnagata section, is jô-jô-(shiro)hankichi (superior - superior - (white) half excellent). 2nd lunar month of 1804: Tomisaburô appears on stage for the last time, in Edo at the Nakamuraza, where he plays the role of Otomi in the drama "Makari Demura Tasuke-ni Kisaragi". 11th day of the 3rd lunar month of 1804: Tomisaburô dies in Edo. Segawa Tomisaburô II was a popular supporting onnagata actor, who was active in Edo from the beginning of the 1770s to the beginning of the 1800s. His forte were musume and keisei roles.